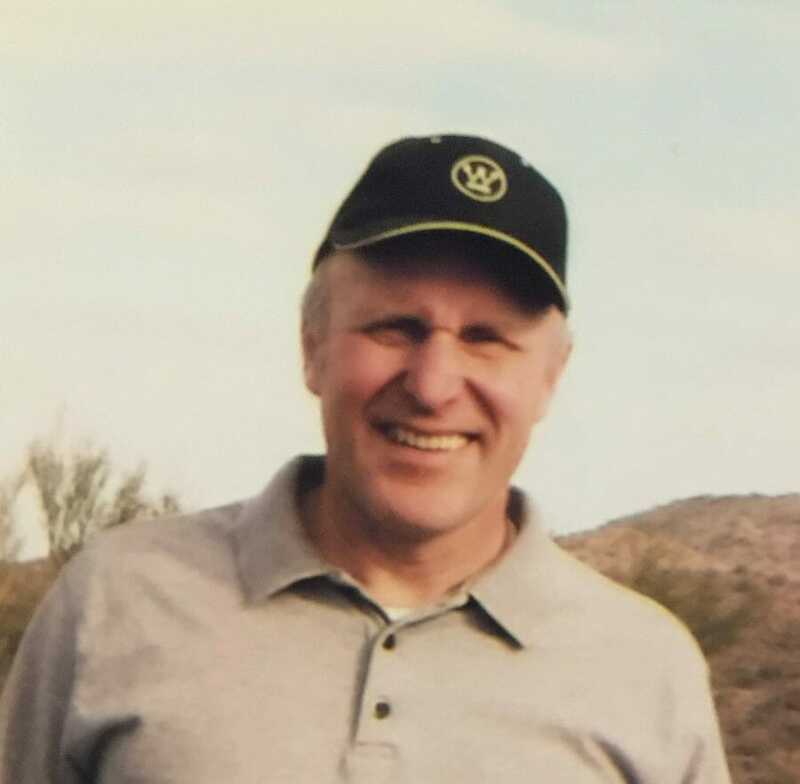 Russell A. Weber, age 65, of New Rockford, passed away on September 15, 2018, at his home of natural causes. Russell Allen Weber was born in New Rockford, ND, on May 21, 1953. He was the third of four children born to Walter and Anna Marie (Troske) Weber. He grew up in New Rockford and graduated from New Rockford High School in 1971. He attended NDSU, where he got a degree in Agricultural Economics in 1975. Russell worked diligently for the Laborers’ Union in MN for over 20 years, while continuing to farm his land in Eddy County. Russell married Mera Melaur in Minneapolis, MN, and they resided in Bloomington, MN. Russell was a hard-working, kind person, and caring of others. He could strike up a conversation with anyone, and always enjoyed talking farming. He loved his family, always keeping up with what the relatives were up to and willing to lend a hand whenever anyone was in need. He had a knack for remembering dates and details of events in the past. He loved gardening, working out at the gym, long bike rides and visiting the family farm in New Rockford. Russell will be lovingly remembered by his wife of 19 years, Mera; brother Wesley (LeeAnna), Elkhorn, NE; sister Kathy, Charleston, WV and sister-in-law Jill, New Rockford, ND. Also those left to mourn his loss are several nieces and nephews. Russell was preceded in death by his parents and brother Bradley. Visitation will be held Friday 9:00AM – 7:00PM followed by a Prayer Service at 7:00PM all at Evans Funeral Home, New Rockford, ND. Funeral Service will be held Saturday, September 22, 2018, at 1:00PM in First Lutheran Church, New Rockford. Burial will be in Prairie Home Cemetery, New Rockford. Sending prayers to the Weber family. Russell was a great guy and a great story teller. He was always willing to help those in need. My heart goes out to Mera. Sorry to hear about Russell. He was a great man and missed by all. I’m so very sorry to learn of Russell’s sudden passing. I was informed today. Russ an Mera have been wonderful neighbors. I will miss our over-the-back-fence chats.